The development of cognitive psychology is typically fostered through the study of groups of participants placed in varied, and often imaginative, experimental situations. More rarely, some research topics require a single subject. This type of study can be found in research on specific cognitive dysfunctions, or in the study of individuals having a type of functioning exceptional in some respects. This article addresses the latter case: the study of the cognitive characteristics underpinning expertise in one domain. 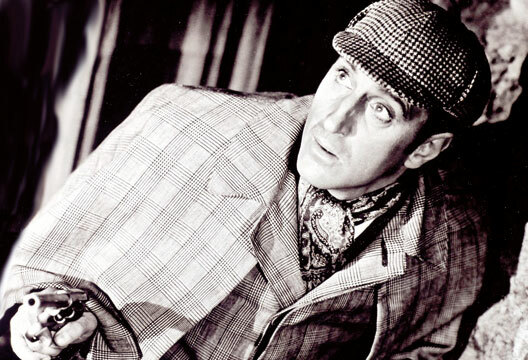 The field of cognitive expertise has a certain tradition of using case studies of experts, but in a recent article we went one step further: we analysed a famous but fictional expert – Sherlock Holmes (Didierjean & Gobet, 2008). The use of citations taken from Conan Doyle’s works made it possible not only to present the latest advances in the field of cognitive expertise, but also to suggest avenues of research that we believe should be explored with more attention. While Conan Doyle’s works offer a seductive means of presenting current research on cognitive expertise, the use that can be made of literary citations is rather varied. The aim of this short article is twofold: to offer some thoughts on the different ways in which literary citations can be used, and to illustrate the extent to which the study of Sherlock Holmes can help us make progress in the understanding of experts’ cognitive mechanisms. A first usage of literary citations consists of illustrating a serious discussion with some humour. Just like the reproduction of a painting illustrates a text, and a cartoon a political article, a citation enables the reader to grasp the overall point of the discussion without necessarily being an exact reflection of the point being illustrated. For example, a recurring theme in the research into expertise, already present in the seminal work of De Groot (1965), is that the key difference between experts and novices lies in the amount and organisation of their knowledge rather than in their computational abilities (see Gobet, 1998, for a literature review). Sherlock Holmes is no exception to this rule, and is aware of the importance that the organisation of his knowledge in criminology plays. While suggestive, the extract from A Study in Scarlet (see box opposite) does not however reflect the true organisation of expert memory. Whilst this citation illustrates the links between expertise and emotion, and is also likely to attract the reader’s attention on the importance of future research on this question, it probably does not reflect the role actually played by emotions in expert performance. Expertise is not necessarily inconsistent with marital life, with the possible exception of a Catholic priest’s expertise in theology. The explanation of the mechanisms underlying a complex phenomenon is often made easier by the presentation of an example involving this phenomenon. Watching a movie showing a cyclone facilitates the understanding of explanations of the physical mechanisms producing it. Among other reasons, examples facilitate learning because they decrease the learner’s ‘cognitive load’ (Van Merriënboer & Sweller, 2005). Similarly, literary citations can offer an illustration of a phenomenon and allow a better understanding of the mechanisms involved. Thus, Holmes beautifully illustrates this aspect of experts’ cognitive functioning: the recourse to episodes stored in long-term memory. In this example, Holmes describes in his words, but also with precision, the nature of abductive reasoning. Nearly 125 years old, Conan Doyle’s books show remarkable illustrations of expert behaviour, including the coverage of themes that have mostly been overlooked by current research. We suspect that other fields of psychology have their own Sherlock Holmes and can benefit from the study of fictional characters.